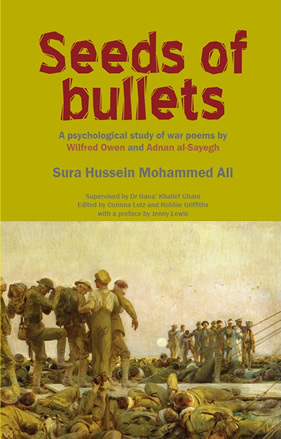 "Bringing together these two soldier-poets from different times, countries and wars has resulted in a fascinating study not only of the psychological traumas that were common to both (which they shared with millions of other ordinary soldiers), but of the way in which both poets felt that writing poetry was the only way they could survive the war. They both made it their primary purpose, to tell the world of the brutality of war and the pity of it from the point of view of the soldiers who had to do the fighting." As a conscript on the frontlines of the Iran-Iraq war, Adnan al-Sayegh lived in constant fear of losing his life. Not surprisingly he found a kindred spirit in the English war poet Wilfred Owen. Sura Hussein’s book sets al-Sayegh in the context of his peers in Iraq and the Arab world, opening up a window on resistance to dictatorship and war especially for English-speaking readers. 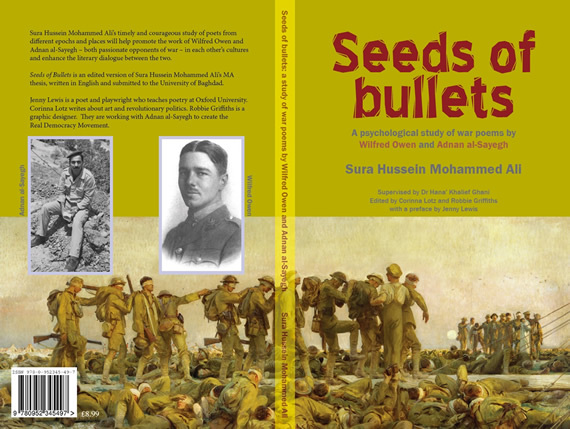 Seeds of Bullets is an edited version of Sura Hussein Mohammed Ali’s MA thesis, written in English and submitted to the University of Baghdad.